It’s that time of year again when the frost melts and you do a lot more cannonballs and warm-weather gear assumes its rightful place back in your daily rotation. The following items are here to help you make that transition. Pretend you need help. What: Little flowers. So many of them. 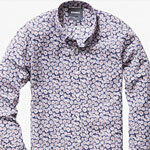 All over your torso in convenient button-down form. Why: It’s nice to throw your upper body a curveball every now and then. It’s also nice to wear this, show up at your date’s house and say, “I got these for you.” Everyone wins. Baseball’s Coming. Here’s Your Jacket. 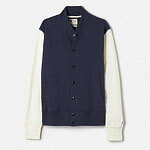 What: A supersoft fleece baseball jacket with a tailored body and contrasting sleeves. Why: It’s almost baseball season. Soon, you’ll be in the stands drinking beer and eating franks. This’ll keep you just warm enough while you drink beer and eat franks. It works outside of stadiums, too. Your Legs. These Pants. King of Spring. 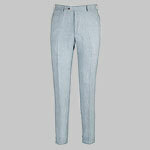 What: Blue micro-houndstooth pants made from 100% Ormezzano linen. Why: The two-inch cuff will add some weight to the bottom, keeping them straight and crisp. That, and they just sort of feel right. Let seersucker down easy. 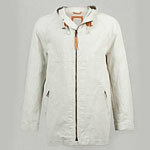 What: An Italian-made jacket that repels water. Keep up the good work, Italy. Why: Maybe it rains on your way to work. This’ll keep your blazer dry. Or maybe it rains at a concert. This’ll keep your T-shirt dry. We guess what we’re trying to say is that this keeps things dry. 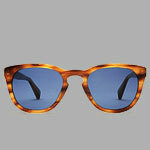 What: A rather dashing pair of English-oak-colored sunglasses from Warby Parker. Why: Daylight savings just happened. Wear these, enjoy the extra hour and try not to look like you know exactly what you’re doing. Too late.